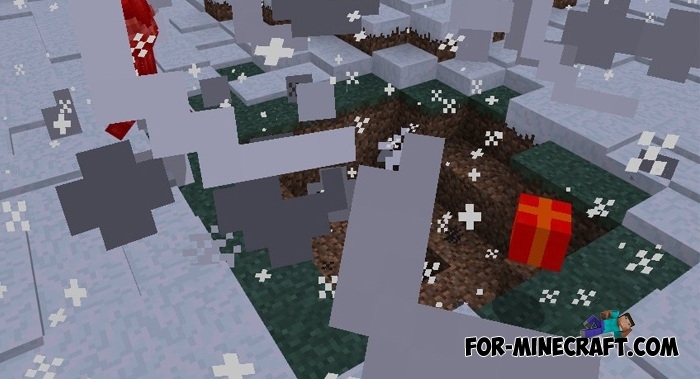 On Christmas Eve it would be nice to get your gift in Minecraft PE. With this add-on you will see the gifts almost anywhere, in any part of the world. They will please you, if you carefully "open" it. 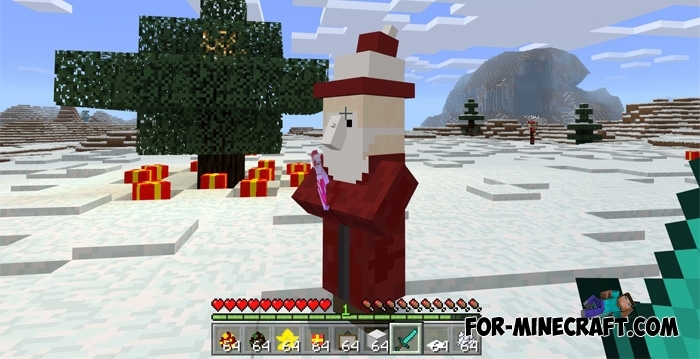 Yeah, the Christmas Gifts Addon replaces a creeper and you have to kill him to get the treasured items. Santa is a new mob replaces a witch. If you kill Santa (sounds crazy :)) you get a few present spawn eggs. Use them to create new gifts. New items for decoration: Christmas star and lights. Now you can get even more useful things from the gift. The addon is functionally similar to Lucky block mod, you can now only explode if you do not have time to kill the first creeper. The addon is functionally similar to Lucky block mod, but now you can explode if you don't kill a creeper first. If you are very quick and were still able to kill this green creature, then as a reward you will get some quite useful items. Gifts inhabit everywhere and you are sure to find them after the spawn. How to install the Christmas Gifts?